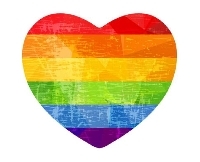 Send your partners a postcard featuring rainbows or a rainbow colour theme. Please check your partners profile before sending handmade or free/ad cards (but feel free if your partner is happy to receive it). Naked or in an envelope also as per your partners preference. Minimum 4.98 rating and no recent unexplained 1 or 3 ratings.